Purchase advice: classic cars can mean an interesting alternative investment besides the joy of owning/driving/restoring as well as being part of a lifestyle. But what car to buy? Which has the most potential to appreciate. Off course we don’t have a crystal ball but there are a number of certainties that confine the risks on a bad investment. Thanks to our continuous following of the market we can advise you. 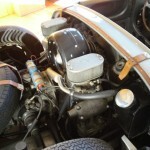 Restoration observation: you are starting a restoration of a classic car? A comprehensive report of your vehicles condition prior, during and after the restoration is a valuable supplement to your car’s history file. 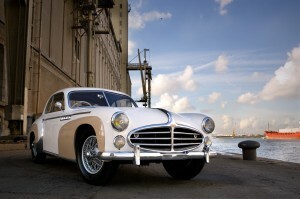 Furthermore it is one of the most irrefutable ways of valuating a car. In case you partially or completely have this restoration carried out by other parties it also gives you an additional guarantee that you pay the restorer for what you’re getting. Auction assistance : you wish to buy a car that is about to be auctioned but you don’t have the time or possibility to attend the auction? We will be your eyes and ears on the move. Thanks to immediate on-site telephonic reporting you’ll have a clearer view or piece of mind when bidding online or by phone on the lot of your choice. 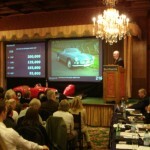 Sales advice: you wish to sell a classic car from your collection, but don’t how to obtain the best result? What sales channels to use? How to advertise it? Which repairs should be performed before selling? We will give you an independent advice on the different possibilities. Storage: the average classic car in Belgium drives less than 1000 kms a year. 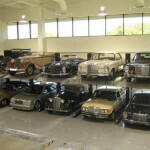 To avoid damage due to the lack of use on valuable cars investing in a quality storage can be a cheap way of prevention. (Better be safe than sorry). Thanks to our expertise in this matter we can extensively counsel you.